Unless you’ve been out of the country the past two weeks, you would have probably noticed that there has been heavy downpours throughout the day all over Singapore. 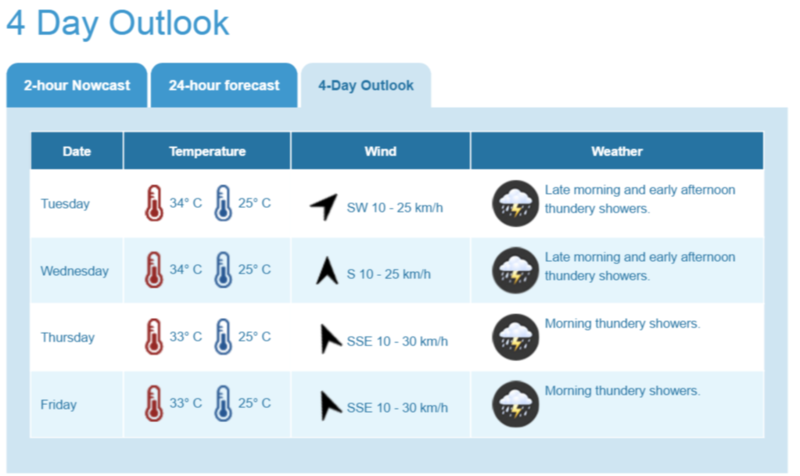 That’s right, the monsoon season is back, and is expected to last up until September. While most of us cozy up in the confines of our comfortable offices during our work hours, there are others who are not as fortunate in their working conditions. One group in particular are the migrant workers who are extensively involved in outdoor labour for most of their working hours. You may be familiar with this video posted on Facebook by Familiar Strangers that has been making its rounds since January. In a reaction video format made famous by the #meantweets series on Jimmy Kimmel Live, the videos basically documents the responses of migrant workers upon reading comments being left by Singaporeans online – both negative and positive. Truth be told, we sometimes forget that that they are people too. These are people who have been away from their families for years on end, all in hopes to provide them a better future by gaining employment in Singapore. Dipa Swaminathan is much like most of us, a working professional with a family to take care of. In 2014, as she was driving home during a heavy downpour, she noticed a group of construction workers, due to being devoid of protective rain clothing, stranded and shivering in the cold. Realising how fortunate she was, she invited them into her car and drove them home. Upon arrival, she gave them hot drinks and dry clothing for them to change into. This was thus how #itsraningraincoats came to be. Until today, Dipa still keeps raincoats in her car in the off-chance that she comes across workers who may be in need of them in the rain, but that incident triggered the start of something so much more. From simply distributing raincoats, it has grown to also include the donation of everyday basic necessities such as clothing, shoes, toiletries, and even off-the-counter medication like Panadol. As she shares the origin story of #itsraningraincoats in an online article for The Pride, there was a much larger concern weighing in at the back of her heart – the unjust practices of companies when dealing with the welfare of their migrant workers. A key mission of #itsraningraincoats is to educate companies about introducing improved welfare conditions for workers in a bid to change perspectives, and hopefully help them understand the situation on the ground where their workers toil. 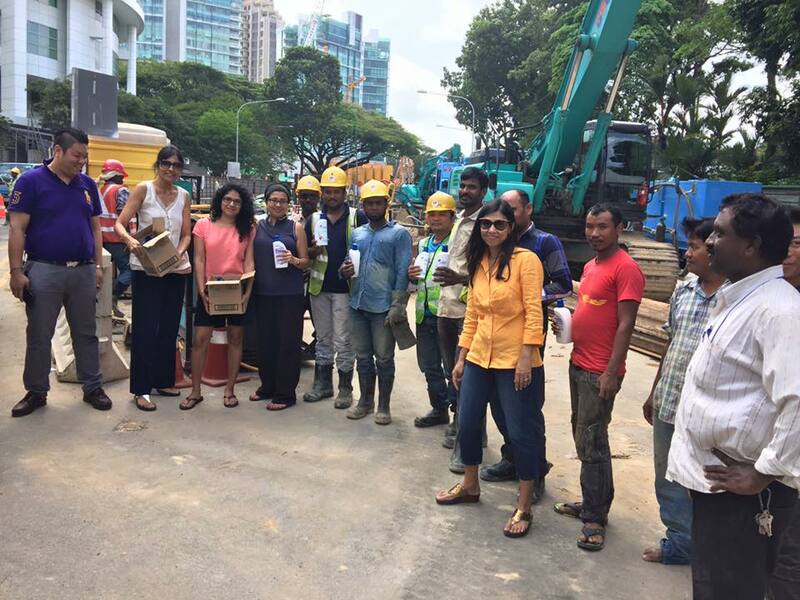 Dipa also personally undertakes individual cases of migrant worker troubles, and helps to solve them while also being in constant contact with the relevant government agencies to highlight the plight of migrant workers. There were of course, good and bad endings to each story she embarked on. Her very first case, and many others of which had good outcomes for the migrant workers makes for the happy memories. On the flip side, there were also cases where she wasn’t able to get a favourable outcome, citing the example of one who ended up being sent back to his home country. Even then, the setbacks have not deterred her from continuing her crusade to make these workers’ lives better in any way she can. Most recently on last Saturday (18 June), she was getting coffee at a Starbucks outlet at Singapore Polytechnic and she noticed that the staff were beginning to clear food from behind the counters for disposal. Sensing the wastage that this would have brought about, she kindly asked the staff if she could have the food instead, so that she could pass some to migrant workers. After which, she immediately handed the pastries and sandwiches to some construction workers she bumped into while making her way back. As you’ve seen from the example of Dipa, it takes no superhuman amount of effort to help out migrant workers. Giving them a raincoat when it’s pouring, or giving food to them is something that anyone can do. If you would, however, like to be more actively involved as a volunteer, there are many ways to do so. You may approach Dipa at #itsrainingraincoats, Migrant Workers Awareness Week, and Singapore Kindness Movement among many others. 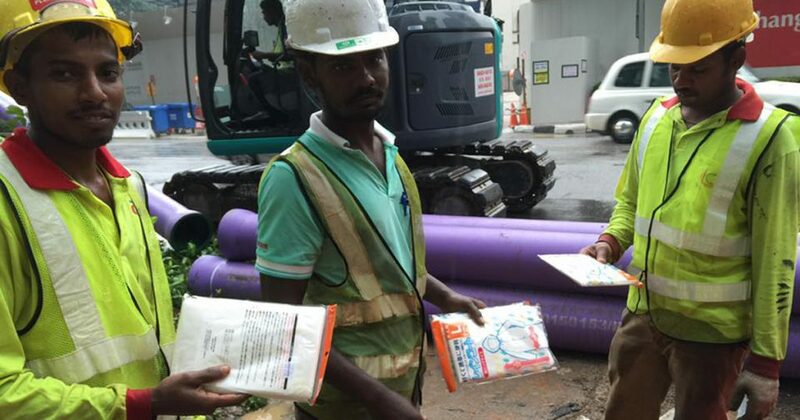 Migrant workers are as much a part of Singapore as we are, so help make their time here away from their families a little more bearable by spreading a bit of kindness wherever you can.